Is the Japan Rail Pass Worth It? A Practical Guide to Bullet Train Travel in Japan. One of the biggest joys of travelling in Japan is the Japan Rail Pass, which allows unlimited access to the Shinkansen (bullet train) and other trains across Japan. In this Japan Rail Pass blog post, I’ve tried to analyse the Japan Rail Pass price, whether its worth it and where to buy the Japan Rail Pass online or in your country. I spent a month exploring Japan, armed with a 21-day Japan Rail Pass, figured out Japan Rail Pass travel routes, coverage and seat reservations – and fell totally in love with the Shinkansen! I hope this detailed Japan Rail Pass guide will help you plan your Japan trip. In the 1960s, the Japanese piloted the shinkansen (bullet train) to facilitate their growing economy – an icon of wealth, technological innovation and efficiency. Surely the quickest way to travel across Japan’s scattered landmass. Brought up on India’s creaky railway system, I couldn’t contain my excitement as I watched my first shinkansen – the futuristic looking machine – glide into the train station. Long travel days, which I usually dread on my travels, quickly became days to joyfully look forward to. I would show up early at the train station to hunt for a bento box or other vegan snacks; board the train, alongside local businessmen, to occupy a clean, wide, spacious seat; and gazing out at the scenery whizzing past, I felt like I was flying business class instead of rolling (levitating) on railway lines. Even on long train rides – Nara to Fukuoka, Kagoshima to Hiroshima, Hiroshima to Ayabe – I couldn’t help but think, sometimes the journey is indeed greater than the destination. Armed with my Exchange Order for the 21-day Japan Rail Pass. The Japan Rail Pass is a physical train pass, only available for tourists, that offers unlimited rides on (most) trains across Japan, including the shinkansen (bullet trains), for a fixed number of days. Unlike the Eurail pass – which allows you to choose a certain number of travel days during its validity period – the Japan Rail Pass works continuously while it’s valid. Japan Rail Pass Validity: You can buy a Japan Rail Pass for 7 days, 14 days or 21 days – and can travel on trains from the day of activation till the day the pass expires. You can also consider buying a Green Car – aka first class – train pass to travel in Japan. I noticed that the Green Cars in the bullet trains are usually emptier and more spacious – but I personally don’t think they’re worth the extra money. See JR Pass prices for the Green Car here. I spent a good deal of time before my trip looking up individual train and bus costs in Japan, because let’s face it – the cost of a Japan Rail Pass really pinches your travel wallet. Turns out, individual trains in Japan are priced super high: for instance, the one-way journey from Tokyo to Nara alone costs 14,000 Yen, and from Tokyo to Kyoto costs 13,000 Yen. So if you plan to travel to Japan for a week or less, and plan to do the return Tokyo-Kyoto-Tokyo train journey, the Japan Rail Pass for 7 days is already worth it. Japan Rail Pass Calculator – is a JR Pass worth the cost? Based on your potential travel itinerary, you can quickly compare individual train prices in Japan with the cost of the JR Pass for your entire trip duration – using the handy Japan Rail Pass Calculator. Keep adding your train rides and return journeys to figure out if your pass will pay off. 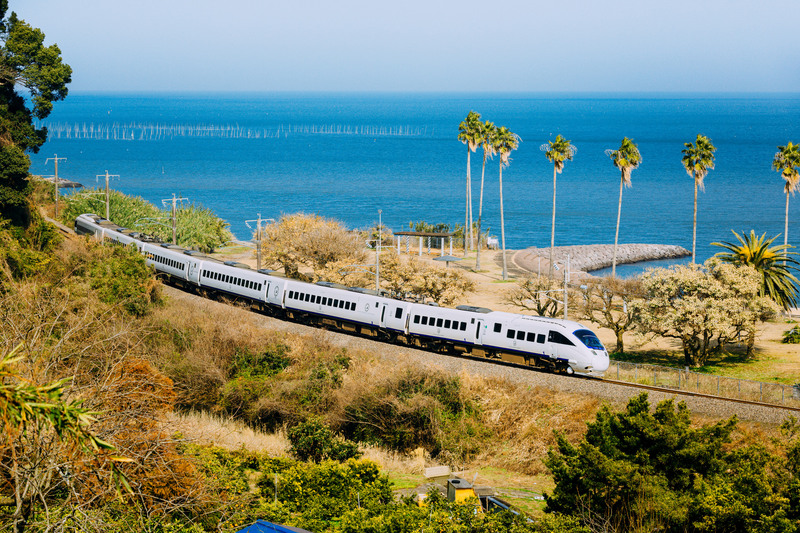 If you plan to explore only one specific region of Japan – for instance, Kyushu island – you could also consider buying a regional train pass. Read more about alternatives here. What else should you consider about the Japan Rail Pass? I ended up forking out the money to buy a 3 week Japan Rail Pass – and I’m really glad I did! Besides the fact that I recovered far more than the cost of individual trains, I loved the flexibility and convenience it offered. I was easily able to change plans on the go and take different routes than originally planned; I didn’t have to fret looking up the cheapest train routes every time I travelled; I also did a bunch of day trips to nearby towns – all included in the cost of my Japan Rail Pass. Throughout Japan, I met locals who lamented not being able to explore much of their own country because of the steep prices of bullet trains – so in retrospect, I think us travellers are really lucky to have the option of a Japan Rail Pass while travelling in Japan. Don’t worry too much about the bullet trains. The Nizomi and Mizohu trains, run by private operators, are slightly fancier, but you always have other bullet train options – covered by the Japan Rail Pass – on the same routes. Just make sure you don’t board any Nizomi or Mizohu trains by mistake or you could end up paying a hefty fine! The best time to buy a Japan Rail Pass is before you travel to Japan, either online or at an authorised JR Pass agent in your country (or any country outside of Japan). For a limited time, until March 2019, it is possible to buy a JR Pass when you arrive in Japan – at Tokyo or Osaka train stations, or at Narita or Haneda airports in Tokyo – but it is 10-20% more expensive than buying it outside of Japan. The most convenient way to buy the Japan Rail Pass is online, on the website of the official online reseller – JRailPass.com. Depending on your location, the delivery can take upto 3-5 working days, so order well in advance of your trip. It’s also worth keeping an eye out on the Yen exchange rate. You’ll receive an Exchange Order by post, which needs to be exchanged for the actual pass within Japan. You can browse through the official list of authorised Japan Rail Pass dealers in your country to find a reliable one. Since I was pretty last-minute about it, I ended up buying mine from a JTB agent in Bangkok. Upon payment (a bit more than what I would’ve paid online), I immediately received an Exchange Order which needed to be exchanged for the actual pass in Japan. When you arrive in Japan, make your way to a JR Office at the Narita / Haneda Airport in Tokyo, Tokyo train station or any other major station in Japan. You need to carry your passport, submit your exchange order and indicate the start date for your Japan Rail Pass – once issued, the start date can’t be changed. Go with plenty of time at hand, as there can often be long queues at the “JR Pass Counter” at the JR Offices. You can choose to activate your Japan Rail Pass at Narita or Haneda Airport in Tokyo, and use it on the Narita Express or Tokyo Monorail trains, but think about how long you’re spending in Japan, the validity of your JR Pass and whether you want to activate it within Tokyo. Chances are, you’ll spend atleast a couple of days exploring Tokyo, where you won’t be able to use the JR Pass (it doesn’t work on the Tokyo metro). For maximum mileage, I took the bus from Narita Airport to Tokyo Station (costs 1000 Yen; the Narita Express costs 3000 Yen) and activated my JR Pass on the day I left Tokyo and did my first long inter-city train journey to Nara. After you’ve exchanged your Exchange Order for a Japan Rail Pass, you still need to get it stamped before using it. At the ticket gates to enter any bullet or local train station, there is always a small JR Counter entry – and this is where all Japan Rail Pass holders need to pass through (since we don’t have a ticket to tap in). Before your first ride, you’ll need to show the JR officer your JR Pass and passport, and get the former stamped. For any rides thereafter, you simply need to flash your JR Pass and move along – both while entering and exiting. Gazing out at the scenery on the Japanese countryside. The short answer is mostly no. While seat reservations are possible on the shinkansen and some other rapid trains, they are not always needed – especially on popular tourist routes like Tokyo-Kyoto-Osaka. However, getting a seat reservation is quick and free, the “reserved cars (bogies)” in the trains are more orderly, you can be sure to get a seat alongside your co-passengers and it’s more relaxing – so I recommend it if you get to the train station a little before time. As with anything related to the JR Pass, seat reservations can be made at the JR Office in any train station – either at the JR Pass counter or general tickets counter. At the train boarding area, the car numbers are marked out, so you can wait outside the car number on your seat reservation ticket. All trains, including the shinkansen, have cars with non-reserved seating. You can see these non-reserved cars marked out for each kind of train at the station and on the outside of each train. There are also regular announcements (in Japanese and English) for the arriving trains, explaining which car numbers are for reserved and non-reserved seating. If you’re in a hurry to make your train, it’s a good idea to get into a non-reserved car; usually they don’t tend to be too crowded. The JR ticket counter: Along with activating your JR Pass and making a seat reservation, the JR Offices at train stations are super-convenient to work out the best train routes. The officials were always helpful and printed out the train itinerary – including travel times and where to change trains. This was immensely useful, especially since Japanese trains run dot on time and we often had only 2-5 minutes to switch trains. The “Japan Official Travel” App: Developed by the Japan National Tourist Office, the Japan Official Travel App (see here for Android) has a lot of cool features, one of which is “Route”, which helps you determine the most convenient way to get to your destination – whether locally or cross-country. You have the option to prioritise Japan Rail Pass routes, sort by fewest changes or least walking, and opt to use only bullet or express trains. Japan Rail Pass timetable on HyperDia: Recommended by a Japanese friend, HyperDia promises to have the most up-to-date Japan Rail Pass timetables and train schedules online. Score! A vegetable (vegan) bento box at Tokyo station! Now that we’ve covered the technical details of travel travel in Japan, I can’t help but shed some light on bento boxes and food options – especially vegan – for fellow train travellers. Bento boxes are beautifully packed food boxes, prepared fresh daily for train travellers across Japan. You can pick up one at any train station before boarding. When you’re done eating, make sure you clean up after yourself and throw the trash either in the trash bin inside the train near the exit, or in the segregated trash bins (food waste, bottles etc) at the train station; trash bins are not very common in Japan and sometimes you might have to carry the trash with you till you get home. Tokyo train station: I found a delightful “Vegetable Bento Box” – with a label indicating vegan – at a bento shop near platform 8. It is also available near platform 6. The varity of bento boxes can be mind-boggling, so try asking the attendant to help you, saying: “Watashi wa bejetarian des” (I am vegetarian) or showing her a picture of the above vegan Bento Box. Kyoto train station: Although Kyoto itself is pretty vegan-friendly, I only found an average vegetable bento box at Isetan in Kyoto station. Fukuoka (Hakata) train station: I was so wowed by the vegan bento box (and other vegan options) at Evah Macrobiotic Dining in the Amu Est Shopping Centre connected to the Fukuoka train station, that I re-routed my return journey with a short stopover at Fukuoka just so I could grab another meal there! All products on offer are vegan (try the burger!) and for quick takeaway. Convenience stores: All train station also have convenience stores – usually 7 Eleven or Family Mart – where I could pick up vegan Meiji 72% (or above) cacao chocolates and nuts. Buy on board: Bullet trains and some rapid trains are equipped with the ubiquitous vending machines to buy drinks on board. Contents of the vegan bento box at Tokyo station. Remember to use the separate JR pass entry and exit at train stations if you have a Japan Rail Pass – since you won’t have a ticket to tap in or out. Most inter-city train stations have an escalator or elevator to carry your luggage – sometimes at the far-end of the platform. [Update:] It seems that Japan has committed to make all Tokyo’s subway stations accessible to disabled passengers, so each station must have an elevator. Sometimes these elevators are super hard to find, but there are plans for them to be sign-posted soon. When you need to change between Shinkansen (bullet) and local JR trains, you need to go to a different area of the train station. I got on the forbidden Nozomi train once, departing at exactly the same time as my local JR connection, because I didn’t realise this! Japan rail pass map: You can download the Japan Rail map as well as local Tokyo, Kyoto and Osaka metro maps here. Japan rail pass official site: While searching online about the Japan Rail Pass, it can be pretty confusing figuring out what is official and what is not. JapanRailPass.net is the official JR Pass website and has the most updated train travel information. Japan rail pass – buy online: The most convenient way to buy the Japan Rail Pass online is through the official reseller – JRailPass.com. Japan rail pass India: See the list of authorised Japan Rail Pass agents in India; although I bought mine in Bangkok, my friend bought one at Travezee Tourism Service LLP in Mumbai. Japan rail pass wifi: Contrary to general expectations, there is no wifi on Japanese trains, not even on bullet trains. You can usually find some free wifi network (including the JR east / JR west network) at most train stations though. Japan rail pass for Tokyo / Tokyo metro: The Japan Rail Pass covers the Narita Express journey from Tokyo’s Narita airport to the city (which otherwise costs 3000 Yen) and the monorail journey, part of the way to Haneda Airport. It is also valid on lines on JR lines within Tokyo. However, the JR Pass is not valid on the Tokyo Metro, which you are most likely to use. Japan rail pass in Kyoto: The Japan Rail Pass is valid on JR lines within Kyoto and inter-city trains from Kyoto to Tokyo and Osaka. Within Kyoto city, a bus pass is the most convenient option. Have you used the Japan Rail Pass? Or do you have any other questions about it? *Note: This post contains affiliate links. If you buy your Japan Rail Pass through these links, I’ll earn a little commission at no extra cost to you. This will help me create similarly useful and practical travel guides, based on my personal experiences. Connect with me on Instagram, Facebook, Twitter and Google+ to follow my travel adventures around the world! Worthy of it. Hope you can make it happen soon, Chhavi! I’ve been thinking about Japan as my next destination goal and the train sounds amazing. I doubt it but is there a student price because it’s a bit out of my budget (just finished uni so lacking funds!)? I will look at the comparison to separate trains too, maybe I could even catch a bus some of the time. Thanks Jenny! As far as I know, there are no student prices unfortunately. You could consider a regional pass – depending on where you plan to spend time in. Thanks for reading Sapna; hope it helps when you plan your trip! Hope you are doing well. I am Ruma from Kolkata and have just started a blog…. I have been following your blog from a long time and must say, your work inspires me. Thank you, and welcome to the blogging world! This makes total sense Shivya! The only reason why I didn’t buy JR pass on solo 2 weeks travel to Japan was to take over-night buses across the country (Kyoto – Tokyo, Tokyo-Japan Alps) and save on accommodation cost. That’s interesting! You must have done pretty long overnight journeys then? Were the buses comfortable? I have always been horrible at directions .This seems too much for me maybe I’m overthinking this but getting lost is one of my biggest fears of travelling alone. I would love to go by myself but I feel as though I can never because of this. Makes me quite sad. Anyway, japan looks lovely. Its nicely maintained that’s probably why its so expensive. Indian trains are dirt cheap compared to that. I suppose that’s one good thing we have. I would have Japanese trains here anyday 😉 And hey, I’m terrible at directions too. That’s why we have google maps. I’ve also ended up making friends seeking directions, and got upto some unintended adventures. Don’t let that stop you from travelling! I have the capability to get lost with Google maps and In another country where I don’t speak the language is like my nightmare. I’m now convinced I have some sort of medical condition. But I guess I am overthinking it. I have been trying to go on small adventures by myself and I can say that the worrying takes out all the fun but maybe I should keep trying. Very informative and surely helpful to everyone who needs it. Thanks. Such a lovely post Bullet Train Travel in Japan with wonderful photographs. Thanks so much for sharing! Great information for travel addicted people. such a nice article for all the tourists. It really helps people who want information about travel. Previous PostThis World Environment Day, 5 Steps to Reduce Single Use Plastic – On Our Travels and In Everyday Life. Next PostHow I’m Financially Sustaining My Digital Nomad Lifestyle.